People want to do business with companies they can trust, that they like, and that they feel good about. A lot of that is based on the personality of the executives that represent those companies, the executive person of interest. You look at a Richard Branson with Virgin Airlines. People like to do business with Virgin because they like Richard Branson. That’s the power of an effective personal brand. We see this personal brand mattering more and more for companies these days in terms of market share. It’s the same as small businesses. You don’t have to be out there and be the public face of your company if you’re the CEO, but there are great opportunities if you dive into that. Even with small businesses, there’s an amazing opportunity for somebody to go out, talk about their company, become a personal brand and use that to grow their business. Josh Steimle, founder and CEO of MWI, an international digital marketing agency, says that’s how he grew his business. 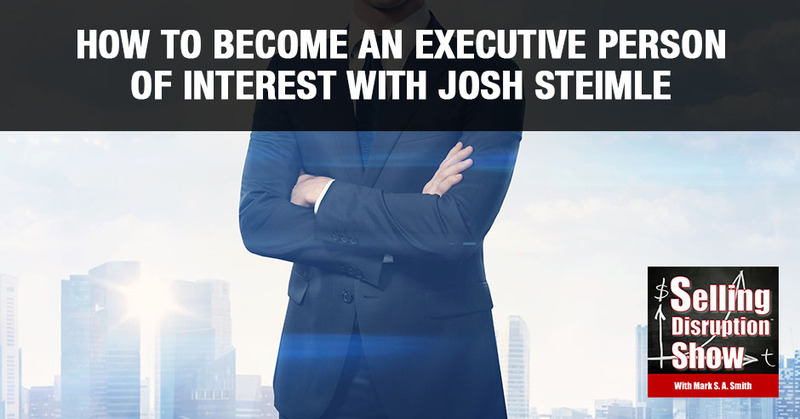 Josh teaches on how to become an executive person of interest and the importance of personal branding to scale your company and attract top clients. 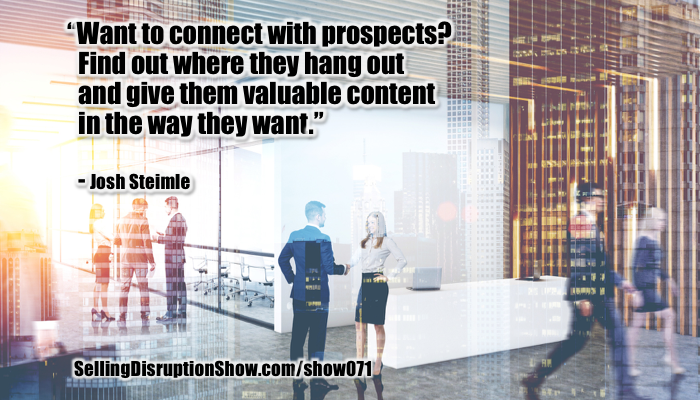 Our guest is Josh Steimle, who is in the business of helping executives become influencers. Josh’s background is in the world of marketing for the last nineteen years. He has run a marketing company, but he changed his focus to help CEOs and other executives become influencers in the marketplace. As part of that, he is the Cofounder of the Impact Summit, an annual event that educates executives, entrepreneurs and professionals on personal branding and thought leadership. All of those are my favorite topics and I am interviewing him from his home in Shenzhen City in China. Let us get straight to it. There have been massive changes in how we market and attract audiences, especially sophisticated audiences. 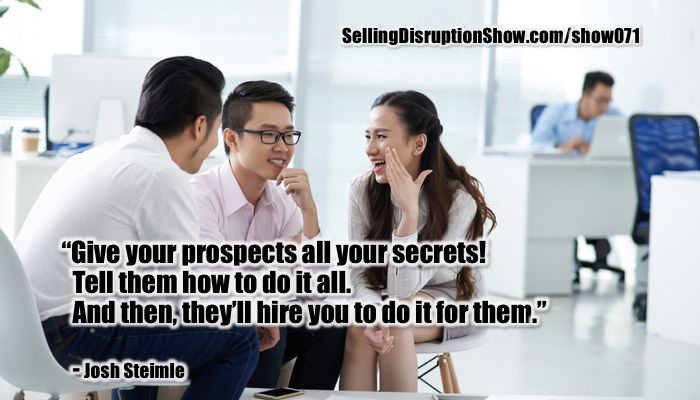 What have you been seeing that so disruptive in the marketplace? What I’m seeing is that people want to do business with companies they can trust, that they like and that they feel good about. A lot of that is based on the personality of the executives that represent those companies. You look at Richard Branson with Virgin Airlines. People like to do business with Virgin because they like Richard Branson. You look at Elon Musk. He is more of an abrasive personality than Richard Branson and Elon has had some stumbles, but people want to be Elon Musk. They don’t buy a Tesla necessarily because they love the car so much. They want to be Iron Man. They want to be Elon Musk. That’s the power of a personal brand and an effective personal brand. We see this personal brand matter more and more for companies these days in terms of market share, reputation and the personality. The brand of that company is linked to those executives. All the unicorns, those top flying companies, all have leaders that are out in front of the camera. They’re not behind the scenes. They’re leading from the highest profile they possibly can get to. How does this impact smaller companies? It’s the same as small businesses. It’s an opportunity. I don’t look at this as a must-have. You don’t have to be out there. You don’t have to be the public face of your company if you’re the CEO but there are great opportunities if you dive into that. Even with small businesses, there’s an amazing opportunity for somebody to go out, talk about their company, become a personal brand, have a public persona and use that to grow their business. That’s the same way I grew my business. 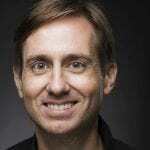 I started my marketing agency nineteen years ago as a college student. It’s a small business, as small can be. We failed our way forward for a number of years and it wasn’t until 2013 that I got the opportunity to start writing for Forbes and that led to a book deal and speaking engagements. That’s when I realized the power of personal branding. If I went out as the CEO of my company and I talked about what we did and I documented the process and I gave away my secrets, that people would eat up that content and it would generate business for me. It’s a huge factor for a talent retention and attracting them in the first place. I would say that personal branding becomes important too even the scalability of an organization versus somebody who’s standing behind some anonymous facade of a corporation. Millennials, they’re all about the culture and not the career. time. I love Delta. I have no idea who the CEO is but I sure know who the CEO of Virgin is and if I had to choose which one I wanted to work for, which one would be more fun? Which one would be more exciting? Richard Branson looks like he’s having a lot of fun and you can bet that that factors into how they do their hiring and what type of people work there and who wants to work there. We’ve well-established the fact that people want to work with organizations that have a visible leader of the culture. This is critical to recruiting and scaling if you’re going to be in the business world as Millennials take over. Why else do we want to create this personal brand? There’s something in it selfishly for the CEOs as well, which is that they have higher tenure if they develop their personal brand. Think about these high profile executives at these companies. If the high-profile executive does something bad, and we’ve seen a lot of that lately with the #MeToo Movement and such, they’re going to be out of there no matter what. The profile is not going to help them. If they’re building a positive personal brand over time, the company can’t get rid of them because their personal brand is entwined with that company personal brand. There’s an interesting report that Forbes puts out each year, it’s the Most Influential CMO Study. I did some analysis on these 50 top CMOs that are rated as being the most influential CMOs in the world. I measured their tenure over the last ten years. Sure enough, versus the normal tenure of a CMO, these executives who are more influential, their tenure’s about 60% longer than the industry average. At least bearing out from my studies, if you’re more influential, if you’re out there, if you have a stronger personal brand, you are more likely to stay in your position longer. It seems to me that this is worth investing in if you want your career to succeed. There’s the other side of it, which is sales for your business. If you’re out there, if you’re speaking about what you do, then people do business with businesses they know, like and trust. If they see a smiling person that they know the name of and they get to know that person, they feel like they know them. They’re more likely to do business with that business versus another faceless corporation. The way that relationships are created is through shared transformational experiences. If the executive in the organization can stand and deliver a transformational experience, which is ultimately the idea behind something such as a TED or TEDx Talk or an article or an interview, it means that you generate a relationship with the folks that are watching you. It’s a shared experience, so we can build relationships faster when there is a personal brand that is meaningful and attached to our target audience. I believe that’s one of the most powerful marketing methods that we have available. That’s one of the things that I find fun and exciting. I also recognize the power it has for my company. When I go to an event or I’m out somewhere and I meet somebody and they say, “I’ve been following your posts on LinkedIn or I read your articles in these publications where I watched your video on YouTube,” they’ll say these keywords, “I feel like I know you.” I’ve never met this person in my life. I don’t know this person but they feel like they know me. They feel like I’m their friend or something. When we have that experience, we have this strong connection and that is fun. I like meeting these people and having that relationship with them and feeling like I can talk to them and they understand where I’m coming from. That’s also fantastic for my business. Because you are the brand, the brand decreases risk and all sales are about decreasing perceived risk. How do we go about doing this? How can an executive build a personal brand that creates the outcome that they desire? For example, if you’re in the grocery business, it would be, “I sell groceries to people who need groceries.” That says a very simple personal brand tagline. In my case, I say, “I help busy executives to become influencers.” That identifies who I am, what I do and who my audience is. 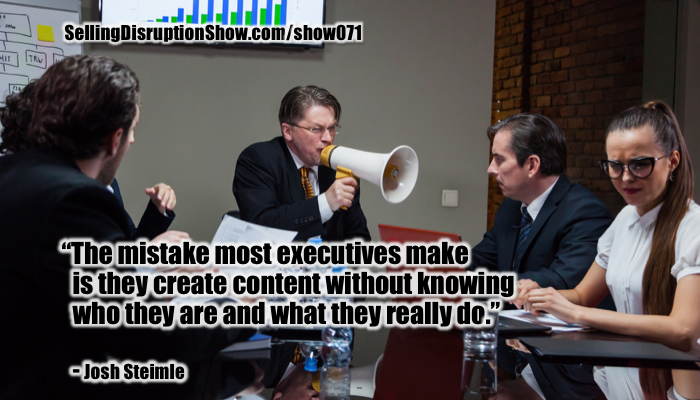 Each executive, before they start creating content, needs to have that personal brand tagline so that they know even internally, even if they’re not talking about the tagline to their audience, “This is who I am and this is who my audience that I’m after.” Otherwise, they tend to create content that’s all over the place and doesn’t connect with anyone. You have to have a target. 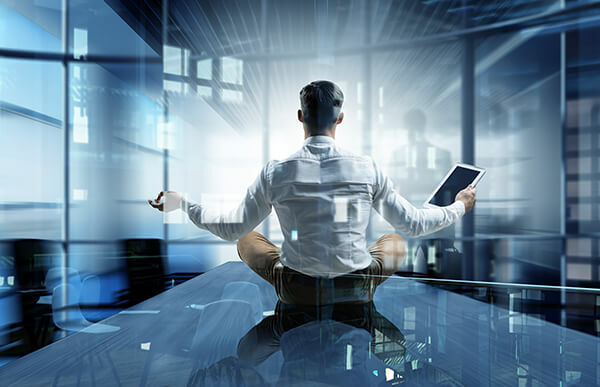 For example, mine, which is probably a little longer than it should be, is to work with leaders to predictably grow their organization through upgraded executive skills and effective customer acquisition systems. I’ve heard people try to explain who they are and what they do for a half hour and at the end of the half hour, I still don’t know who they are or what they do. If you can do it in under ten seconds, you’re doing well. Is there any work that I need to do on that or is that good enough? Maybe you could tighten it up a little bit, but that’s pretty good. Once we create this personal brand identity statement, what’s the next step? The next step is to figure out who your audience is. You figure this out while you’re coming up with that brand tagline but zero in on that audience. The way that I do this is I brainstorm a list of everybody who could possibly be in my audience and then I narrow it down to my ideal target audience. Because we all have multiple audiences that we could speak to but because we can give a message to somebody doesn’t mean that we should focus on that person, that leads us to focus on ten different audiences and then we’re not focusing on anybody. “I can do that,” is not a business plan. Once you identify your ideal target audience, which is the people that you can serve the best, the people that if you didn’t serve them and give them content, nobody else is going to do it, there’s going to be something missing if you don’t do it. Who is that target audience that’s also going to help you grow your business? They should have the money. They should be able to buy what you’re selling. They should be willing to buy it. Once you identify who that audience is, then it’s figuring out your message. What are you going to tell this audience that will cause them to react in the way that you want them to react? Usually, that’s to engage with you somehow buy your product, buy your service, or sign up for an email newsletter or something that puts them further down the funnel towards becoming a long-term customer. Once you have your message, you know what it is, you start creating content around that. Once these things align, once you know who you are, who your audience is, and what your message is, it becomes very easy to create content. You can figure out where your audience is hanging out. If they’re listening to the podcast, you create a podcast and you talk to them that way. If they’re on LinkedIn, you talk to them on LinkedIn. If they’re on YouTube, you talk to them on YouTube. If they’re on TV, radio, wherever you go to where the audience is when you start giving them the content that they want. This content can take on all sorts of different forms. It depends on what your audience wants to consume. It might be advertising, it might be more in-depth content like you’re creating with this podcast. It just depends on who your audience is and what the best way is to get your message to them. The audience of this particular podcast tends to be executives and they listen while they’re working out or while they’re driving. My audience doesn’t watch YouTube videos other than to figure out how to light the pilot light on their water heater. I don’t have much time for YouTube videos, but when I’m running, I’m always listening to audiobooks or podcasts. We’re feeding our brain. We’re feeding a monster that we call our leadership skills. Once you know where your audience is, then you give them the content where they tend to hang out. Give them the content the way that they want to receive it. We’ve got to package it in the way that they consume it. Then we create content in a way that causes them to have some transformation. For example with my marketing agency, I started writing for Forbes. When I started writing for Forbes, the opportunity dropped in my lap. When I started writing, I didn’t understand what I was doing. Forbes came and told me, “Just write about whatever you want to write about.” That’s what I did and I was writing about all sorts of stuff. I was writing about entrepreneurship and startups and technology and marketing thrown in there, but I was mostly not writing about marketing. I didn’t see any results from my writing from Forbes for more than six months. In about six months into that process, I realized I should be writing about marketing. That’s where I make my living, that’s what my agency is. I started writing about marketing and my strategy was I’m just going to tell people everything. I’m going to give them all the secrets. I’m going to tell them exactly how to do what I’m doing in my agency because I knew that people would be too busy to implement it themselves. Then they would come back to me. I wasn’t advertising my agency in these articles. I was literally telling people how to do it all. People would figure it out. People figured out that I ran an agency and we got flooded with leads. I can track over $5 million in revenue back to the articles that I wrote for Forbes. That’s a pretty good ROI for writing a few articles. That’s an extraordinary ROI for the money and time invested. That’s what convinced me that personal branding was something I should pay more attention to. You’ve got to get targeted, let people in on your secrets, tell them all the good stuff, and they’ll assume that you’ve got more. They’re not going to believe that you’re actually revealing all your good stuff. They want more. The more secrets you give people, the more they wanted it and then they start coming to you. The great thing today is I’ve been talking about Forbes and I’ve spoken at TEDx and I’ve got a book out there. These are all harder things to do. These take more time and more investment. Now, it’s easy to get in touch with your audience through LinkedIn. LinkedIn is a goldmine these days and anybody can be posting on LinkedIn. It’s so easy to go there and write a simple text post. You can create a video very quickly and easily and post that on LinkedIn and the results are amazing. It’s amazing what you can get. For example, I posted a video and I’m up to 4,000 views. I’ve seen people write posts on LinkedIn that have gotten millions of reads, millions of views on video and it’s just a land grab. It’s open to anybody. Anybody can post this and if you follow some of the standard practices for writing good posts on LinkedIn, you can get outsized attention. It might not be that way in a year or two, but there’s just a fantastic opportunity on LinkedIn. I’m taking 4,123 views on this little 93-second video on Why Do Startups Fail? It didn’t take long to create that video. In fact, LinkedIn is so good that I’m not writing that much for these. I can write for Entrepreneur, I can write for Mashable, I can get my writing up into these big publications. I’m spending more time on LinkedIn than I am writing for these notable publications because I’m getting more attention on LinkedIn. What are you seeing working now knowing it might be different six months from now? Video on LinkedIn is hot. They rolled out video less than a year ago. When I say video is hot, I mean native video. The difference between native videos that if you take a YouTube link and you post that on LinkedIn, that’s non-native video. If you use the app or there’s a button where you can upload video directly to LinkedIn from the desktop, that’s native video. The reason native video performs better is that LinkedIn wants to keep you on LinkedIn. If you post a YouTube video, then that often tends to take people away from LinkedIn and put them over on YouTube. LinkedIn wants to keep people there, so if you post a native video, LinkedIn will promote that video more in their feed and more people will see it. Just as a rule to play by with LinkedIn, they don’t want you to leave their sight. Anytime you put a link off the site and your post, they’re not going to promote it. It’s not going to get nearly the same number of views. In fact, in my experimentation, you get a tenth of the views putting a web link in the body of the post versus not. They want to keep you there and links tend to hurt that. I still put links in some of my posts sometimes, but I do it knowing that that’s going to negatively impact how many people see that post, but there’s a trade-off there. The video is the hot stuff and this is so easy. I went to a lunch with a friend. I was walking up the street and I thought, “I’m here in China. People are interested in that. I’m just going to film a short little video about why I’m here in China.” I pulled out my phone, turned it at myself, and talked for two minutes while I was walking up the street. I posted that to LinkedIn and it’s had over 180,000 views. I’ve got a client out of that simple little video. I’ve got tons of attention and it was the easiest thing in the world. People love raw, authentic video on LinkedIn. You have 40,000 followers on LinkedIn and you get a lot of shares around there. That keeps me from feeling so bad about your 100,000 plus views over my 4,000 plus views. I want to point out that we can do this. You’re a pro at this and I’m developing these skills. You can get started and imagine the impact you can have once you get this figured out and dialed in. Put that on your to-do list. Get out that mobile device and shoot a quick video who you are, what you do, and why people would need to connect with you and let’s get that up there on LinkedIn. Do it and then tag me so I can see it too. I’d love to see what you’re putting out there. What else can we do to build that personal brand and attract our audience that we can serve? I said that books are a little bit more of a time investment and it takes a little bit more effort, but books are business cards on steroids. If you have a book, there’s immediate credibility that comes with that. Even from people who haven’t read your book. I have a friend and he had a social media book out there. He’s now deceased, but my friend, he wrote this social media book. It’s not even a good book. It’s full of typos. It’s full of errors. It’s not well-written, and yet he was invited to speak at all sorts of conferences. He got all sorts of publicity because he had his name on this book. I don’t think anybody actually read the book, but when you think about an event organizer, setting up an event, choosing speakers. There was the saying back in the day that nobody ever got fired for buying IBM. With event organizers, nobody ever got fired for recruiting a speaker who has a book. Once you have a book, if the speaker’s bad, “He has a book, he must be an expert on this because he’s got that book.” If you have that book out there, you can self-publish it. It doesn’t matter much. If you have a big name publisher, just go self-publish it on Amazon. You can create a short book that’s 60 pages and say, “I’m the author of this book.” It’s an immediate credibility. Let me tell you, there’s a quick way to make a book. I’ve written fourteen and the fastest way to write a book is to write a series of twelve articles. Just do one article a month and at the end of the year, you’ll have twelve chapters. Send it off to an English major to edit it into a book and magic happens. You’ll be way better off than the average book writer for sure. I don’t want anybody to misunderstand. I’m not advocating that you should write bad books and just get them out there quickly. Go write a great book that people are going to love. I’m just saying the bar’s pretty low. It is, and it’s a massive way of illustrating your expertise and creating that personal brand. It’s very powerful stuff. What’s next beyond a book? Beyond the book, a lot of people, once they write a book, they gravitate towards public speaking. Typically, speaking opportunities come your way once you have a book. It’s a big factor in how you get recruited by these event organizers. Public speaking, of course, is the number one phobia that people have. Jerry Seinfeld has that famous bit about how people would rather be the guy in the ground at a funeral than the person delivering a eulogy. The thing that has helped me with public speaking is to understand that the audience wants you to succeed. They want you to deliver a good talk and they’re supporting you. They’re excited for you, they’re happy, they came to see you. They want you to succeed and once I understood that, that helped get rid of some of the jitters that I have around public speaking. Now, I’ve spoken in front of audiences of thousands of people and I get nervous every time. I get excited about it and I think you should be nervous and excited about it. If you’re not nervous it means you’re not excited, then why are you there? Is it a roller coaster ride excited or is it gun to the head nervous? I would say it’s more roller coaster. I don’t feel like somebody has a gun to my head. I’m just excited for it to get going. I’m excited for the ride to start. Once I get out there on stage, it’s just fun. I love it and I’ve never had that experience of choking or forgetting everything when I’m up there on stage. I’ve seen it happen with people and it’s painful to watch. It’s almost more painful to watch than to be the person up there choking. I saw somebody who choked at a TEDx Talk in front of a thousand people. The people in the audience started calling out like, “Take a moment. Gather your thoughts. We love you.” People wanted that guy to succeed even though he was choking. Nobody’s laughing. Nobody’s making fun of you. If you choke up there, you just take your time. Relax and get back on track. Executive Person Of Interest: If you choke up there, you just take your time. Relax and get back on track. Let me give you a piece of advice. The best way to not choke, number one, know your stuff. Number two, just be you. We have thousands and thousands of people that listen to this podcast. It’s the same thing, talk to one person and have the 999 listen in and when you do that, you won’t choke. It will be magnificent. How do you see people most easily get into the world of public speaking once they have a book? What is your methodology for reaching out to potential folks to bring them in as speakers? It’s a simple method. It’s called reaching out and asking people if you can speak at their event. It is that simple and you just have to do the work. I have a friend, Melanie Deziel. She spoke at 60 events in 2016. That’s a lot. That’s more than one event a week. How did she do it? She made a list of all the events she could possibly speak at and then she contacted all those event organizers and sent them a pitch and said, “This is who I am. This is what I speak about. I’d love to know if you have opportunities at your event.” If you want to speak at 60 events in a year, then you contact 500 events and maybe you’ll get to speak at 60. She did the hard work. She contacted all these people and it worked for her. A lot of people feel like, “I’m going to stick up a website. I’ll write a book and then I’ll just wait for the leads to come to me.” It doesn’t happen that way. If you want to get the engagements, you’ve got to be proactive. You’ve got to reach out. In the beginning, you’re probably going to do it for free and you’re going to take speaking engagements that maybe you’re not super excited about. It’s a small audience and you’re doing it for free, but as you do more of that, you get referrals. You get word of mouth. Then after maybe a year or two, the leads start to come in. You can do something amazing and you’ll get the leads faster. There’s a guy out there, Jia Jiang, he studied rejection for 100 days. He went out and he said, “I’m going to get rejected every single day for 100 days until I am immune to rejection and I don’t care about it anymore.” Then he documented this experience, wrote a book about it and then got a TED Talk that’s now been seen six million times. He gets tons of speaking engagements because he did something very noteworthy that people are interested in. If you’ve been in the executive world for 30 years and you’ve got all this great experience built up but you don’t have one noteworthy, huge thing that you can publicize, it’s going to take some work and you’re going to be out there doing lots of calls and send lots of emails. My friend, Darren Lacroix, who’s a world champion of Toastmasters says, “How do you get good speaking? Stage time. Just take every speaking event you possibly can get and before you know it, you’ll be working in the large audiences.” How do you, Josh, help executives become influencers? I have my company, Influencer Inc. and our focus is on training executives to thought leaders and influencers. We do this through online courses, events, and one on one coaching. One thing that we’re focusing a lot on is we have a bunch of programs for LinkedIn on how to help executives become thought leaders on LinkedIn. We have a course, we have a done-for-you service where we take over executive profiles and we do everything for them. We have a profile audit service, we have a number of different services that we use. Then I do some one on one coaching with a small group of executives to give them customized advice for their specific needs. How can our audience reach out to you to learn more about how you can help them become influencers and perhaps get started on that path? The best way is to go to my website, JoshSteimle.com. I’ve got tons of blog posts and resources and downloads and all sorts of free goodies there for executives on how to develop your tagline, how to be successful on LinkedIn. Josh, it has been such a great conversation in a very timely topic, which the shift in marketing from a corporate monolith to leaders that are out front and have a personal brand, the impact on business and the impact on culture. Thank you so much for sharing your insights. Give: Ask me anything about personal branding. For a limited time get your free digital copy. Discover the mindset, skillset, and toolset you need to run a sustainable, scalable, profitable, and salable business, or be promoted within your organization. Next event in San Diego, Fri/Sat February 1-2, 2019.